How Will Toy & Baby Brands Succeed Post-Toys R Us? The March 2018 announcement closing of 800 Toys R Us stores around the country left many dismayed for a variety of reasons: nostalgia for childhood, confusion about how this could’ve happened to such a prominent retailer, and where does one shop for toys now? Most critically, how does this impact the sale of toys and baby items from now on? 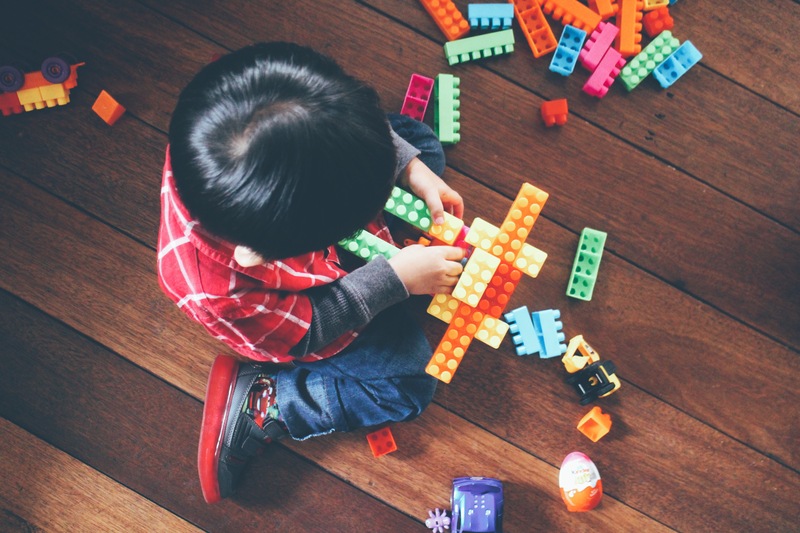 For brands in the toy and baby categories, it’s a pivotal moment to take control of their ecommerce distribution and create strong product experiences to grab the attention of the digital shopper. Known for its extensive inventory and large footprint, Toys R Us lets shoppers traverse endless aisles and pick a toy that was the perfect fit for the little ones in their lives. No parent could bring their child into the store without walking out with a new toy. During the holiday season, they were master of trends and know what would be the hot toy (remember the Furby craze?). The retailer maintained the large inventory to capture those sales. Toys are interactive and tangible; the experience of picking up a toy or having it catch a consumers eye in an aisle was a central aspect to the buyer’s journey. It may seem like that experience cannot be replicated on the digital shelf but the opportunity to control the product experience and develop rich product pages for the digital shopper is what will sell toys and gifts in the future. Toys R Us gave independent, small brands the opportunity to delight kids and parents. “They were a bastion where you could show the full line of your products at bricks and mortars” says Neil Friedman, CEO of Alex Brands, to USA Today. This sentiment echoes across the industry and is causing grave concern. The retailer prided itself on providing opportunity and exposure to the small brands alongside the household brands that defined generations. With its dissolution, many toy and children’s brands need to enter the ecommerce realm like never before. The future of independent toys and baby brands rests on developing a strong content distribution method that compliments brand identity. Brands need to rethink how they market their product in a simplified manner that does not miss out an opportunity across retail channels. So, which retailer will replace Toys R Us? There’s no reason to focus only on one channel. Major retailers, Walmart, Target, Amazon and Kmart, top the list for market share from toy sales. Prior to the Toys R Us announcement, Walmart led the market with nearly 30% share in the sales of toys. However, it’s anyone’s guess who will take control of the 18% of the market that Toys R Us. More critical will be ensuring that your product is showing up on a wide range of web sites and toy aisles. When it comes to ecommerce sales, Amazon is speculated to take the lead. According to a study done by Jumpshot, “Amazon converted 20.5% of all interacting consumers within the toys & videos category and won roughly 95% of all toys & videos conversions.” As of 2017, the average conversion rate on Amazon for non-Prime members was 12.3%. Let’s look at an example: IMDEN, an independent toy brand with a Top Seller in the Building Blocks Category. This independent brand created an engaging and informative product page full of rich media and descriptions. Optimized Product Title: The use of Magnetic Building Set, Magnetic Tiles and Educational Toys in addition to the products name helps customer discover the product more effectively. Rich imagery & Video: Each image depicts important parts of the brand story of the product and brand. Examples of what can be made with this set, an image dedicated to the companies values, what’s included in the set, and a video. The video lets a consumer watch a child interacting with the toy--bringing it to life. IMDEN also enabled A+ Content to their page, another method to bring a product to life and address possible concerns. The brand has considered how competitive Amazon can be and created a product page that shines and emulates an in-person experience that engages. Regardless of the size of your toy brand, digital provides a unique opportunity to present strong brand stories. Those that adapt quickly to this big change in the toy industry will take action and shape their product experiences for each retailer they opt to sell at and move up in the rankings to keep kids having fun.